If you think good health is expensive, then try ill health, because If you are sick, no matter how rich you are, how powerfull you are, everything you have would be going nothing. A proverb that show us how the healthiness is so important even its the main things in the human's life. Related to this the healthcare facility is so important, and now i'll continue my story about "The Early Hospital in Semarang" , which is before i've post about the St. Elizabeth hospital, now i'll share the information about Centrale Burgerlijke Ziekenhuis (CBZ) or now known as RS Dr.Kariadi (RSDK). 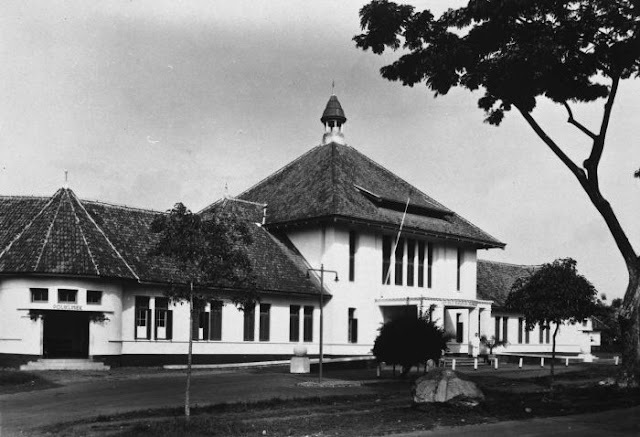 In the 1919, a doctor name N.F Liem who worked in Semarang, have an ideas to merged the City Hospital (Stadverband Ziekenhuis) which is located in Old Town with the City Auxiliary Hospital (Hulp Stadverband Ziekenhuis) who located in the town square . The plan itself is to build the central hospital in the outskirt of Semarang city. Anyway, dr. N. F. Liem, who born in Muntok, Bangka in 1872, according to Traditional Chinese Medicine and Pharmacy in Indonesia book, written by Myra Sidharta and Claudine Salmon, is the first Chinese Indonesian doctor in Western Medicine. Back to the story of establishment of RSUP Dr.Kariadi, then after several surveys, its choosed the location for it in Kalisari. It takes five years to built it and officialy opened on September, 9th 1925 and its named Centrale Burgerlijke Ziekehuis (CBZ). On that time the CBZ could accommodated 500 patient who were takes care in the big ward contains of 45 patient. Beside that its already served the specialities is already exist, like the internist, surgery, obstetrics, ophthalmologist, dermatologist and many more, strengthening the name of the CBZ itself to become the leading hospital in Semarang city. The complex of CBZ it also designed compact, so its make the nurse, doctor, and the hospitals employee could take the quick action, related if there’s emergency condition. Considering the medical personel are so rare, so its built a drom and office for the medical personel of CBZ around the CBZ itself. 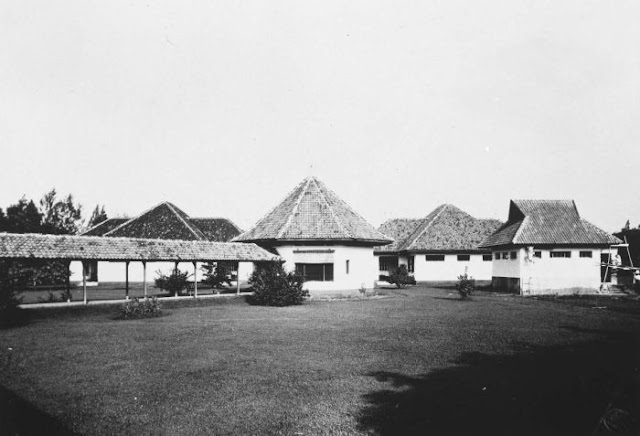 Following the Japanese occupation of East Indie on 1942, this hospital changed its name into Pusat Rumah Sakit Rakyat (PURUSARA). Then when the revolution for independence declared on 1945, this hospital also become one’s of the republican based for struggling. The Pavilion of "de wachtdokter" or the waiting doctor on CBZ in 1929 (Photos by: Tropenmuseum). And the picture below is the current condition, currently used as cafetaria and stationary. 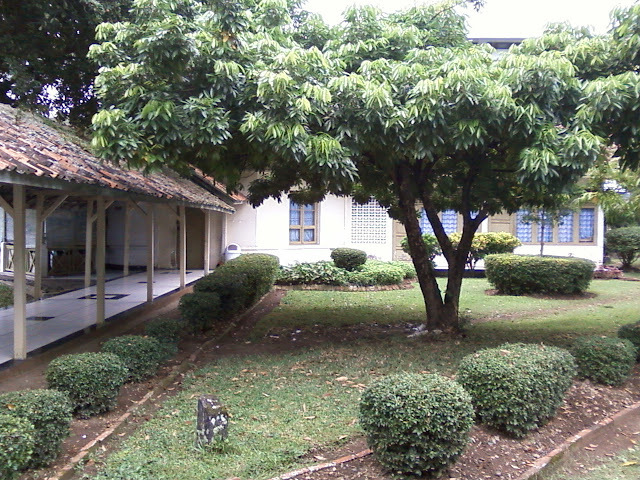 The famous story related to this hospital about revolution for indepence is the story about dr.Kariadi, which later his name immortalized for the official name of this hospital in 1964, from Rumah Sakit Umum Pusat (RSUP) Semarang into Rumah Sakit Dokter Kariadi (RSDK). 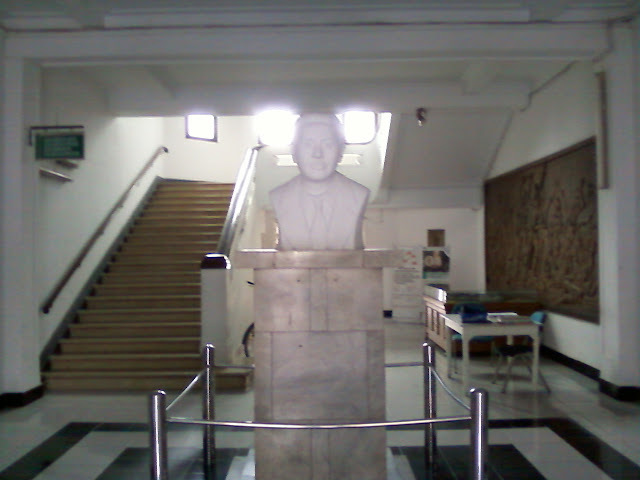 Dr. Kariadi is one’s of the doctor who’s in charge in PURUSARA start from 1942, right after he finished his duty to become medical personel in the city of Martapura in Borneo(Kalimantan) island. In PURUSARA he’s in charged as the head of malaria laboratory. Following the surrender of Japanese into Allied force in August 1945, there was an status quo in East Indie because there was vacuum of power. The tension between the republican militia and the Japanese force who’s refused to hand over their weapon are continuously happened and make the city condition getting worst. Then on October 14th 1945, there’s happened the massacre of Japanese force in Boeloe prison by the militia, and its make the Japanese force in anger and respond this brutality with others brutality, they burnt down the Pandean Lamper and Tegal Kangkung kampoong. Then there’s a rumours that the Japanese poisoned the Siranda Reservoir. It’s an extremely dangerous action if its ignored so Dr. Kariadi, accompanied by militiamen from the Tentara Pelajar Corps, with a car goes to checked about the truth of that rumour. Unfortunately, the Japanese army killed him together with the militiamen in the middle of their way to Siranda. The dead body of dr.Kariadi are abandoned in the hospital for two days because of in the following day there’s happened the clash between Japanese and the Republican Militia, known as Pertempuran Lima Hari Lima Malam. On October 17th 1945, finaly the body of dr.Kariadi finaly buried, but its in the yard of PURUSARA, considering the hard situation. On the 1961, the remains of dr.Kariadi dead body, moved into the Giri Tunggal Cemetery, and re-buried with the military ceremony. 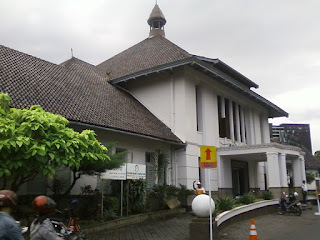 Now the RSDK become one’s of the leading hospital in Semarang. With the extensive development, this hospital now served more than a thousand of patient every day and also projected as the international hospital.